Kelis, despite having quite a few buzzworthy singles since her career started in 1999, has not been an artist that has done huge numbers. Her first album, Kaleidoscope, has yet to sell even 300,000 copies and her most successful album to date, Tasty, has barely gone gold even though both are years past their initial release date. Part of the problem has been an issue of promotion, Virgin Records never really pours a ton of money into artists’ projects unless they are guaranteed money-makers (most people didn’t even know that her second album existed, let alone had been released). The other issue is that of sound. While here first three albums were produced by The Neptunes and had a cohesive sound, her last three albums saw her changing style-and record labels-with every release. Now that she is signed to an independent label in the UK, will we get to hear the real Kelis? And will we like what she has to offer? 1. Breakfast – Named after the most important meal of the day, this track begins with Kelis’ son asking if we are hungry and telling us that his mom has food. Unfortunately, if this song was a meal, most of us would leave the table unsatisfied. The production, filled with horns and a throbbing bassline, sounds sleepy. There should be plenty of pickup in this song; the elements seem tailor-made for an upbeat track, but there is just something a little off. Kelis’ vocals are sleepy, too, and contains more of a raspy quality than on her previous releases. Her tone is so raspy that she loses volume several times throughout the song and the background vocalist overpower her throughout. The lyrics are a bit of a mess. Initially, I thought that she was talking about her relationship with her son and how it empowers her to move throughout her day and life, but the line Maybe we’ll make it to breakfast makes it seem like she is talking to a man she hardly knows, despite declaring him to be the real thing. This is definitely a shaky start to the album. 2. Jerk Ribs – The first single from this album, this is more the speed that you would expect from the opening song; in fact, there is a similar sound with the use of Jingo’s Fever for the sample. This track seems like the essence of funk and urges the listener to get up and dance. Kelis’ vocals are just as raspy as they are in the first song, but because she is not competing with background singers, her voice rings out loud and clear against the brass. There is an energy in this track that was missing in the first. About looking for that melody that completes your life, she equates everything to music; her father, her lover, her life. A solid track all around. 3. Forever Be – With an intro that features a piano, strings, and horns that sound like they are in competition with each other at times, this is another happy-funk track. And while it contains similar funk elements to the previous songs, it sounds different enough that it a casual listener could distinguish between them. This is likely due to the hint of British pop that has seeped into the background. All about the moment when you finally decided to tell the person you love how you feel, the lyrics are simple and straight-forward. Some listeners might find that the syntax seems a little off (for all the songs) but you have to keep in mind that these songs were written in conjunction with Kelis’ British labelheads. Kelis vocals are not particularly strong, but they do have a vulnerable quality that aids the subject matter. Not a particularly memorable track, but a good one nonetheless. 4. Floyd – This slower production has the same presence of horns but has the addition of the gospel organ in the background that really do seem to add something. There is a bluesy quality that lends itself to the longing concept of the song. This song, likely about the late Floyd Taylor, could be seen as longing for a man that can blow her away, but could also be seen as a critique of the current state of music. Seems like no on is surprising anymore/It’s not that I’m ungrateful/I’m just a little bored/Sure, I’m self sufficient/Blah blah independent can be seen as criticism of the somewhat monolithic way that female singers portray themselves. Kelis’ vocals are a little sleepy on this one; her delivery is nearly monotone and it is not aided by a particularly dynamic production. This is definitely a good track, but the quality is brought down by the singer’s seeming lack of interest. 5. Runner – Kelis continued her monotone delivery on this song and it really makes it hard to get into. Her tone is so lackluster that the production outpaced her several times and she even squeaks off-key once. While she gains some life on the choruses and the last bridge, but it isn’t enough to make this song listenable. One of the biggest issues is that I can barely understand the lyrics as it sounds like she is muttering the verses. The songs seems to be explaining that Kelis is running from one thing to another in life because of fear, but there is always a constant (likely fans or family) in her life that she will never run from. The production is slow funk, but there is a building from simple to complex throughout the song that makes the ears perk up halfway through because you begin to notice the change. From what I can make out the lyrics are deep and strong and, if given to a slightly better singer, could have been the sleeper hit that strikes the charts out of nowhere. As it stands right now, this track is nice but might enter skip territory for a person who has trouble understanding her. 6. Hooch – Returning to the food theme and the upbeat, brassy funk this song seems to be reassuring herself that the son that came from her failed marriage is something that she will be always be glad for. She reminds herself that he seems to be joy personified and, despite the mistake of the relationship, he will never be a regret. But, just like in the previous track, there is some problem understanding her because her delivery is so flat. The happy brass of the production overtakes her layered vocal more than once and it just seems as though Kelis has no interest in the material. And it is the production that saves this song. It is the most interesting thing about the track. The layering of the funk sound with what sounds like a spaghetti-western styled rhythm is something you probably have never heard before. If you’re not in the mood to listen too closely to the lyrics, this is a fun song. 7. Cobbler – This time, the funk sound is mingling with a calypso beat that will have the listener nodding their head as soon as the track starts. It is upbeat and fun and fits the concept to tea. About being with someone that can make every day feel like a (tropical) vacation, Kelis steps out of her monotone slumber and actually seems to be enjoying herself on this one. There are a few cringe-worthy moments towards the latter end of the song when she starts to hit notes I never sing, but it’s not enough to destroy what the song is to that point. Again, this song is not all that memorable, but it is a good listen. 8. Bless the Telephone – This track completely breaks from the funk sound and goes in an acoustic folk direction. A remake of a Libi Siffre song (who also seems to be the person with the uncredited duet), her longer version of this short and sweet telephone conversation is a lovely addition to the album. The vocals seems to be right in Kelis’ wheelhouse, she neither strains nor sounds asleep at the switch. About simply being happy to hear the voice of the one you love, this just makes your heart melt. A standout track. 9. Friday Fish Fry – The production here reintroduced the horns, but it is not a funk song. Instead it has a decidedly blues flavor with decidedly country undertones and it is the best part of the track. It is a style of music that many Kelis fans are likely not to have had much exposure to and it is a good choice for the song. This highly repetitive little ditty is about the overwhelming desire to bed a man who seems to have no interest in her. Despite the lack of lyrical diversity, this is still a good one to listen to. Kelis’ vocals fit the song perfectly and she is engage throughout. This song feels like it is being performed live at some honky-tonk and you will be hitting the repeat button when it is over. A standout track. 10. Change – This song seems like it might be about a moment when she considered reconciling with her ex despite knowing that it has no future. Again, Kelis’ vocals are engaging and the raspiness adds something that makes this track feel deep. The production gives that spaghetti-western mixed with Superfly feel to it that works to make it sound like she is having a showdown between her mind and her emotions. It almost comes to the point that you feel like you can hear the spurs clinking against the ground. There is also a hint of Santana’s Black Magic Woman in the background before the final chorus. A memorable and solid track. 11. Rumble – The second single from this album, this track seems to be a continuations of the previous track in that she wants her ex to stay with her but at the same time is happy to be out of the toxic relationship. The lyrics are exellent; they are both simplistic and packed with meaning, sounding more like free-form poetry than a song. Kelis’ vocals are vulnerable and strong, perhaps the strongest they are throughout the entire project. The off-kilter tonal quality works unexpectedly well with the brassy (though not quite funk) production, which has a happy bounce to it with a bit of sad undertone. It makes it perfect for the concept. It feels a little short, but it is solid track through and through. 12. Biscuits ‘n’ Gravy – The production presents us with the simplicity of a lonely (electric) piano and an high-hat for most of the song before adding in some quiet strings, hard-hitting drums, and those tell-tale horns towards the end. The sudden build-up of the song makes what Kelis is singing about sound like and epiphany, especially when she starts singing Been given the morning/Every dawn brings thoughts of you/By this time tomorrow/I’ll be brand new. All about accepting when a relationship is over and realizing that a better day is on the horizon, this song is uplifting rather than sorrowful. Kelis’ raspy vocals play into the theme well, bring the feeling of creeping realization as she begins to soar along with the production. She tonally emits an underlying strength that is hard for many artists to convey convincingly. A standout track. 13. 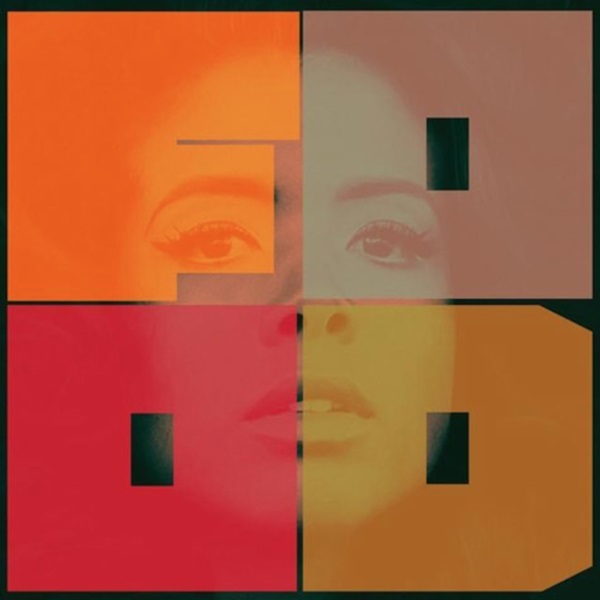 Dreamer – When the track begins Kelis has slips back into her sleepy vocals again, but this time it’s by design at it fits the theme of the song. About letting of the things that weigh you down and finding that inner peace, this is a great song to end the album with. The lyrics are oddly specific, as if going into her head: If all was left to me/We’s be naked climbing trees. Unlike earlier tracks, this time Kelis’ sleepiness still has a purpose and her tone is driven. The production’s sleepy quality also has a purpose and it evoked a sense of putting head to pillow and pushing the troubles of the say away. You can hear the twinkling of stars and a rising moon as the track and Kelis’ vocals soar into the ether. A standout track. Despite a few misstep here and there, this is a good album. The feeling of it makes you wish that you were listening to Kelis perform it live and, perhaps, this album would have been better served if it was a recorded live. Still, while it is not something that you will want to listen to all the time, there is a depth here that is rare in most modern music. Coupled with the impeccable production, this is definitely food for the soul.